Torbjoern’s story continues – with my trip to Norway to meet him in June 2011. I did mention a while ago that I had plans to visit my home country this summer. A good friend was willing to join me and we flew over to Norway in the middle of June. 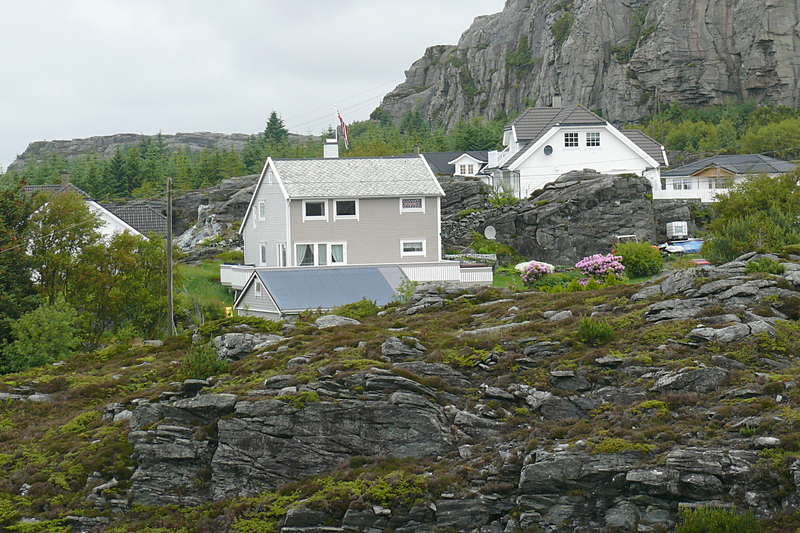 We stayed with my cousin Aase and Gunnar, outside Bergen, for 9 days and had a wonderful time. The weather was pleasant most of the week so we had a chance to see and experience a lot during this all too brief stay. 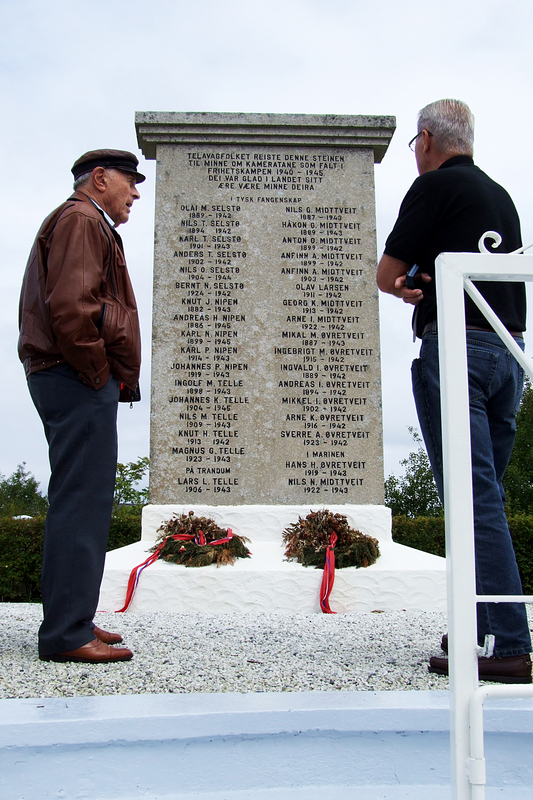 One of the reasons I wanted to go was to meet Torbjoern Oevsttun who is the only one still alive of the seven from Nesttun (the so-called Nesttun-boys) who were arrested in 1941 when the Germans unravelled the Kristian Stein organisation they all worked for during the early part of WWII. 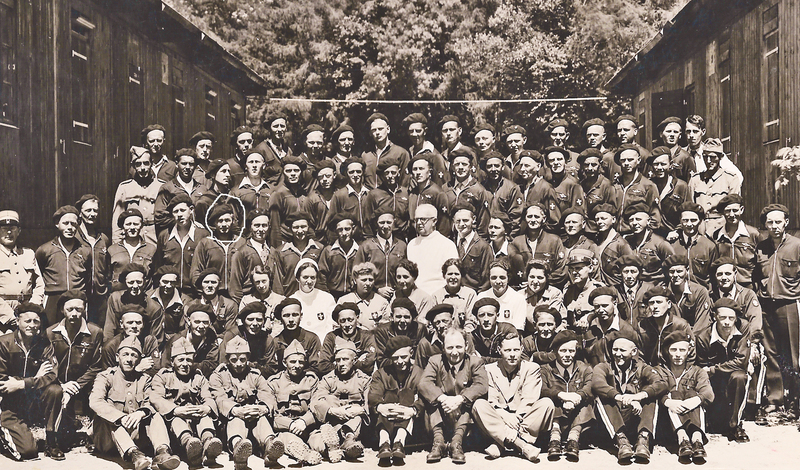 For nearly four long years they were sent from camp to camp in Germany, but the ‘boys’ stayed together. He had stories to tell from that period, and it meant a lot to me being able to see him and have a chat and hear about my own dad (who died in 1991). When the prisoners were freed by the American army in April 1945 they had to remain in Dachau for several weeks because everything was so chaotic in Germany. As I have said in an earlier write-up – Torbjoern was ordered to work in the sewing-room while imprisoned, and he became quite a competent tailor – under the guidance of a Belgian expert who was a ladies dressmaker! May 17 is the Norwegian Constitution Day, always celebrated in great patriotic style. Of course it was of greater than ever significance for the Norwegians to make the most of such a day when peace came at last. Torbjoern and his mate Arne set to and made a wonderful banner in the red, white and blue of the Norwegian flag. 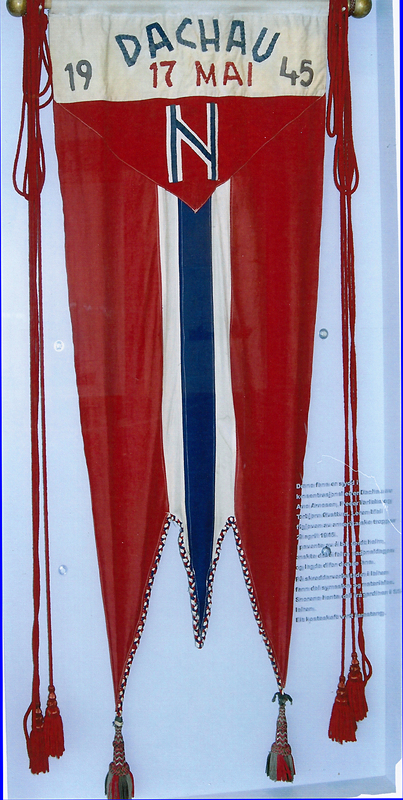 This banner was brought back to Norway and is kept in a war museum outside Bergen. Telavåg is the name of this place. 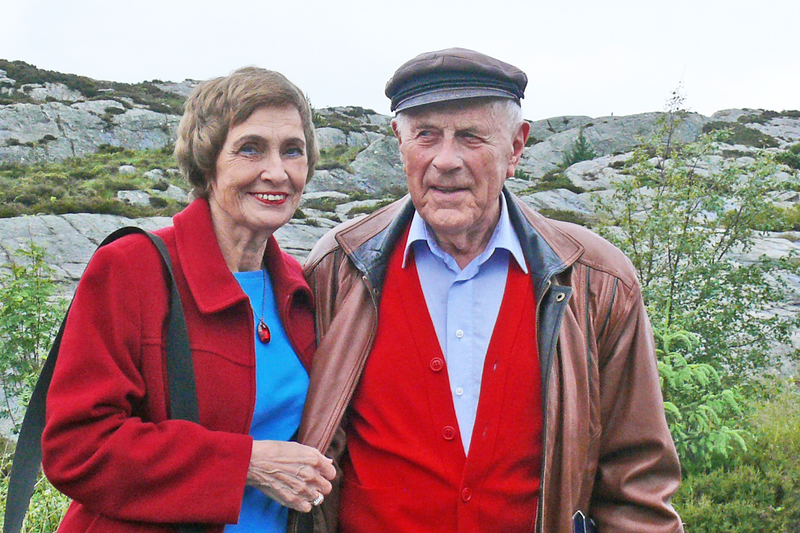 Torbjoern is now 91 years old, but a fit, good-looking and active man, except for poor eyesight. 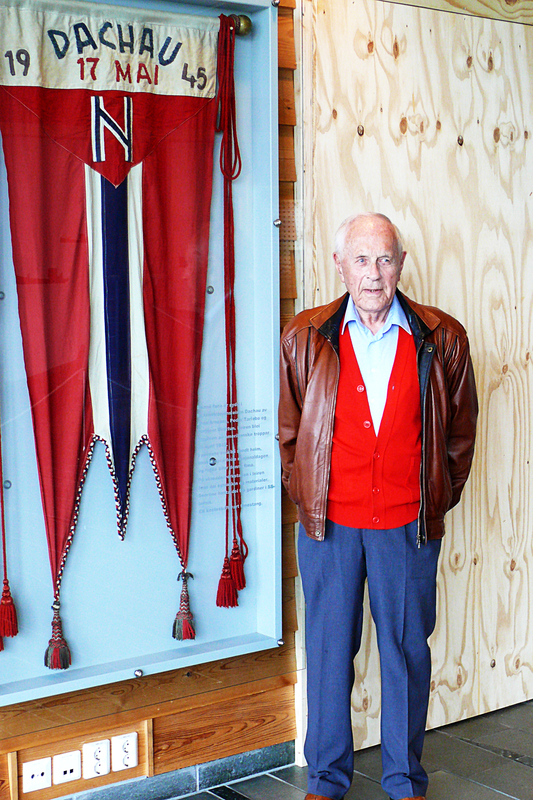 Here are some pictures taken during our visit to Telavåg Museum, and Torbjoern is pictured standing next to the banner he made. It is a well-kept and nice piece of work which I believe will last for many, many years. It is preserved under a glass frame. This is Torbjoern and Elin outside the museum. He looks wonderful for his age. At this point I want to tell a brief story about Telavåg and why it became an important and unforgettable place during the war-years and afterwards: On the 26th of April 1942 two high-ranking Gestapo officers were shot by two Norwegian agents, who had come over from the Shetland Islands in Scotland. 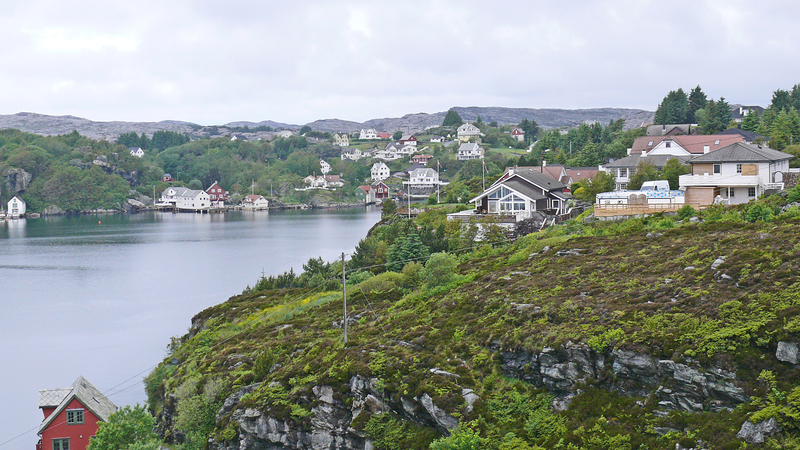 One of the agents, Arne Vaerum, was also killed during the shoot-out that took place in one of the 66 houses in this little fishing village where they were hiding. 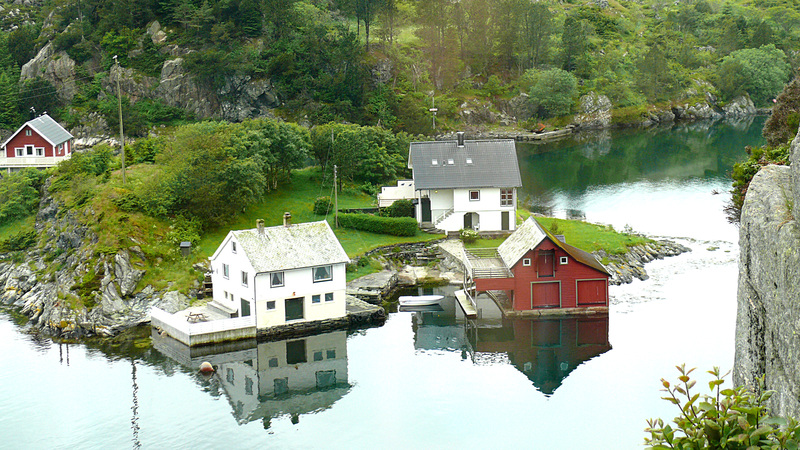 Telavåg is located on the fjord-inlet close to the North Sea. Because of this location it was an ideal place, for people fleeing the Nazis, to come and hope to find transport to Scotland and freedom. The Germans were aware of this and kept their eyes open for any activity. Someone must have informed the head office in Bergen because officers were sent to investigate. The Germans retaliated in a most horrendous fashion. They took all the males in the village, between the ages of 16-60, prisoners. They were sent to a concentration camp in Germany, where many of them died. All the women and children were interned at a big school near Bergen or a place in Hardanger for two years, and the entire village was burnt to the ground. There was nothing left of a once prosperous fishing village. We went to Telavåg in late June this year and saw a really gripping and frightening documentary about this terrible event, where both film and still pictures had been used. It was narrated in Norwegian with English subtitles. The museum walls are full of pictures of many brave men who risked their own lives in order to save others. Can you imagine rowing and sailing in open boats across the often wild North Sea? It shows human beings can cope with a lot when our lives depend on it and the situation is desperate. Torbjoern and Gunnar by the war memorial. I remember my parents talking about Telavåg when I was young, and the rebuilding of it some years later. But for me it was a first visit and an unforgettable one. I want to say a warm thank-you to Torbjoern for this memorable meeting. I also want to say thank-you to Aase and Gunnar for being such wonderful hosts. It was much appreciated. We saw fjords, waterfalls, high mountains and peaceful valleys. We visited with friends and family members and were made to feel very welcome and wanted. Torbjoern’s Story – home again and normal life is resumed. After the war Torbjoern, who was still a young man, continued his education. He qualified as an engineer at Stockholm University. He has had a long and interesting life. Until recently he used to meet other survivors once a month. They had lunch at one of Bergen’s best hotels, and reminisced about the war years. “We are getting too old and decrepid to meet now”, he said. He still has his dear wife by his side, whom he married a few years after coming back home. He seems happy and content with life, but “it is impossible to ever forget those dreadful times”, he admits. The banner Torbjoern and his friends made in May 1945 was brought back to Norway. It was kept at Kronstad Hovedgård – a sort of museum – for many years. But it January 2009 the banner was presented to Telavåg Museum, some miles from Bergen. 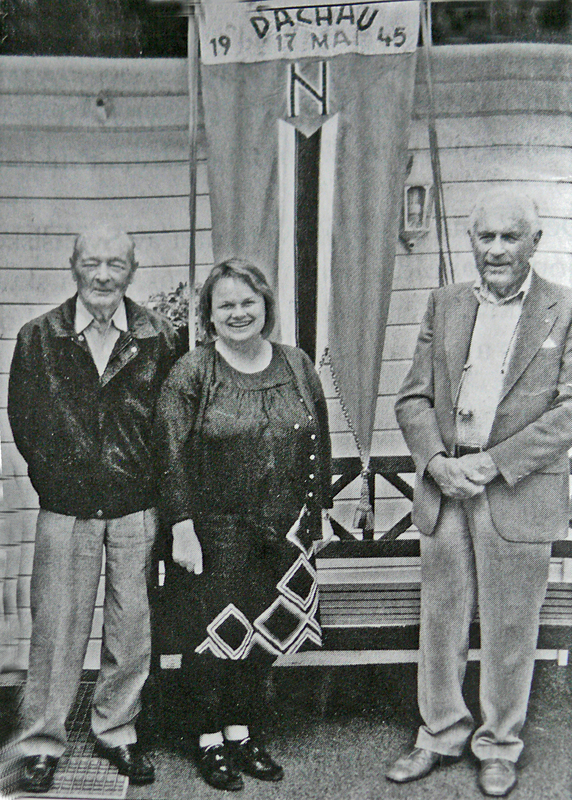 This is Torbjoern (right) with another survivor presenting the banner to the curator of the museum in 2009. Every ten years, since the war ended, the Norwegians and their Swiss ‘saviours’ have spent time together, either in Norway or Switzerland. A firm and lasting friendship was formed, but they have all become too old to travel these days. 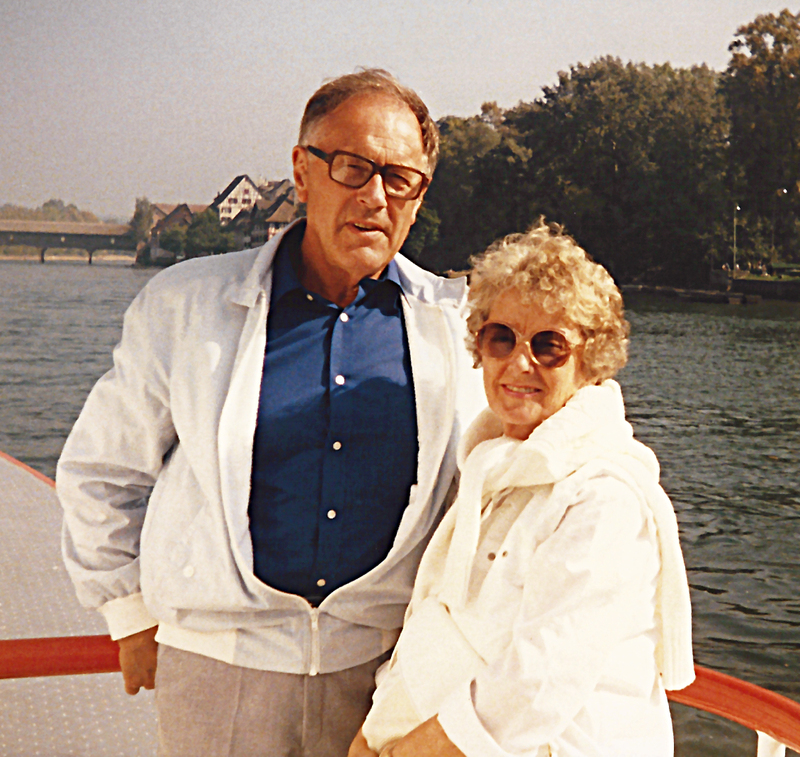 Torbjoern and wife, Liv, on a Rhine cruise in 1985. Torbjoern and some other ex-prisoners have given extensive interviews to historians from Oslo about the events during that awful period. These records are kept somewhere in the capital Oslo. I shall soon be able to have a long chat with Torbjoern and his wife because I am going to Norway for a short holiday. I may well have more to tell when I get back to England. 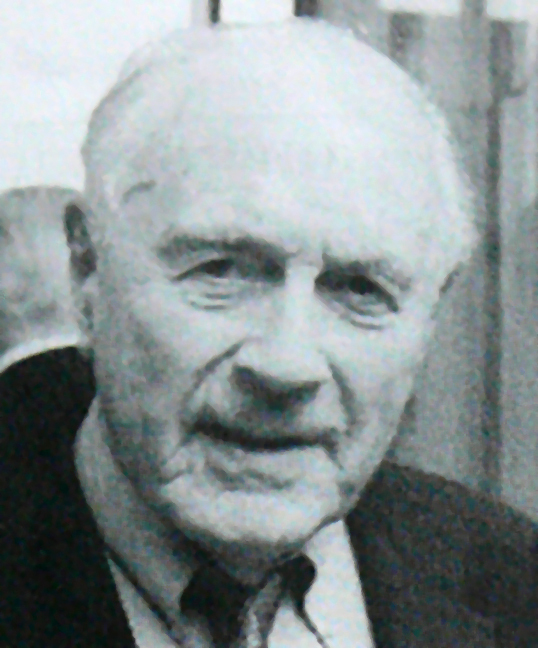 Here is a photo of Torbjoern as he is today – still handsome and alert at 90. 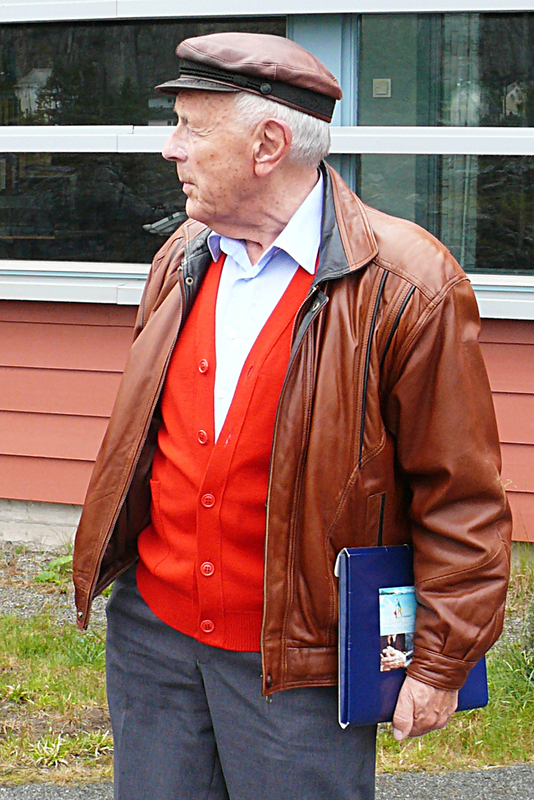 This is Torbjoern as he is today – 90 years old and still going strong.In 1940 he was very young , but he wanted to do his bit and make Norway free again. Like many others he joined the Kristian Stein organisation. 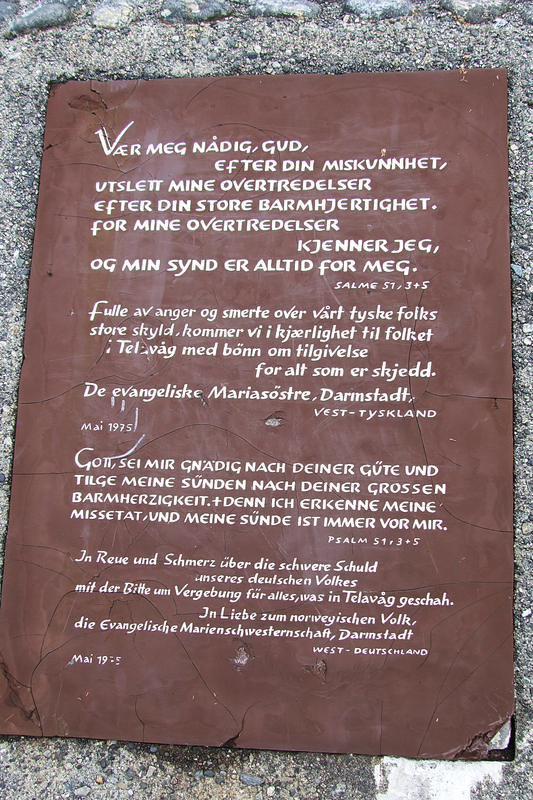 Torbjoern became one of the brave young men who transported people, by rowing boat from a hidden cove, to small vessels that were anchored ready to cross the North Sea to England and safety. These were men the Germans suspected of participating in sabotage against them, and they had to get away. He and a friend also hid in the undergrowth and photographed the German ships arriving. These pictures and necessary data were sent over to the UK. He was arrested the same night as the other Nesttun-Boys, October 23rd 1941. They all spent the next nine months at Ulven Leir (camp). 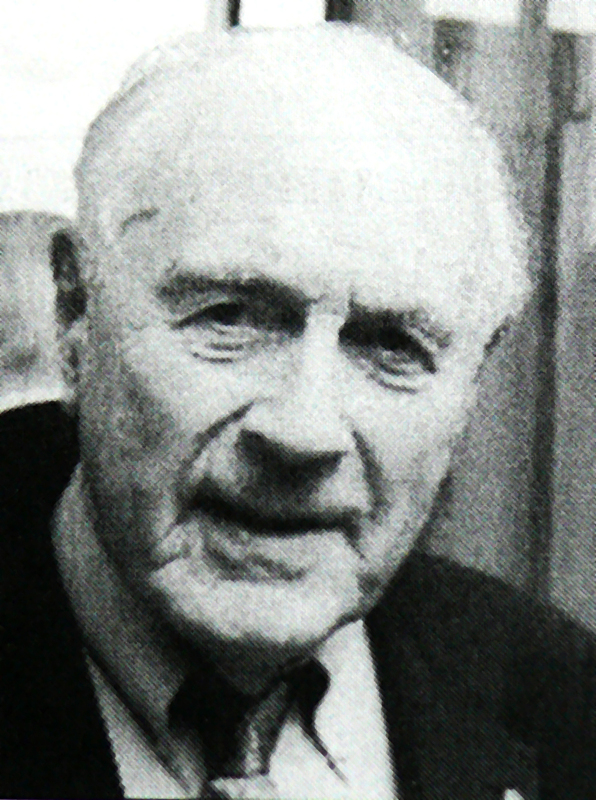 Torbjoern was arrested because he was a member of the Kristian Stein organisation which was illegal, but did not carry a death sentence. They didn’t know about his other activities. If they had he would not be alive today. I have already written about the journey to Oslo in ‘My Father’s Story’ so I will concentrate my writing to what was different for Torbjoern, and his memories. He recalls that my father was taken ill with Typhoid fever while in Kiel and that he spent several weeks or months in a prison hospital. They were all placed in solitary confinement and this was a dreadful experience for everybody. The cells had to be scrubbed and polished every day, and some of the guards were particularly brutal and always found faults with the work they had done. Torbjoern never knew what he had done to upset one of these fanatical guards, but as punishment he was brought to the basement and thrown into a pitch-dark cell with no windows. Electric light was not permitted, and he had to strip naked every night, neatly fold his clothes and place them by the cell door. His bed was the bare floor – he was not even provided with a straw mattress or a blanket. His days and nights were spent daydreaming about home and family, fishing trips and the good times. He was beginning to lose touch with reality and had no idea how long he was there. One slice og mouldy bread and some bad tasting coffee was the day’s food ration. Suddenly one day the person in overall charge of the cells opened the door and asked: “Why are you here?” Torbjoern didn’t know and his answer was: “I have no idea”. He was escorted back to his previous cell and was given another job to do. He says this ‘rescuer’ is the only man he would have liked to shake hands with after the war ended. 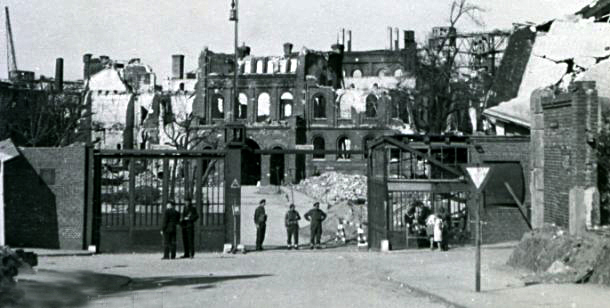 A photo of Kiel jail in 1945, after it was destroyed by the Allies. Ron and I celebrated our golden wedding in September 2010. We had a big party with family and friends. My cousin Aase and her husband, Gunnar, came from Norway to be with us which made it special. 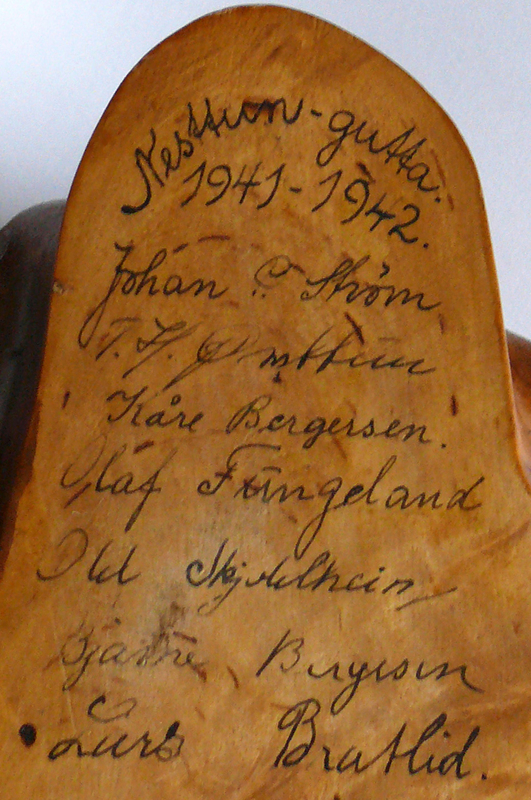 Gunnar noticed the seven names on the back of a wooden carving. This was made when ‘the Nesttun-Boys’ were imprisoned at Ulven Leir (camp) for nine months in 1941/42. He looked at the names and said one of the men is still alive and well, and he knew of him. His name is Torbjoern Oevsttun and he is 90 years old. He was by far the youngest of the group, only 20 when war broke out. After they returned to Bergen Gunnar contacted Torbjoern and asked if he was willing to chat with them about the war years. He agreed willingly, and Aase and Gunnar went to see Torbjoern and his wife one afternoon. They brought an audio recorder along, and after the chat sent the whole two-hour recording to me on a CD. Switzerland and Sweden were the only European nations to remain neutral during the second world war, and did not suffer the hardships the rest of Europe had to cope with. Schaffhausen, a town in nearby Switzerland built a camp and invited the Norwegian ex-prisoners to spend time there. They were too weak to cope with the journey to Norway at that point. On the 31st of May they left the living hell, called Dachau, behind and were transported to ‘heaven’ according to all the men. After a 2-3 week quarantine they were free to go where they wanted. Many trips were arranged and they saw a lot of this little country’s beauty-spots. Dinners and dances were arranged too. My father was always a stylish and good dancer and he enjoyed every moment. Many of the Swiss people they met remained in touch for many years. Back home we waited longingly for news. I don’t know how soon after their arrival in Switzerland we actually were able to hear a broadcast from the camp, where each man said a few words to his family, but probably no more than a couple of weeks. Sadly, one man named Hans Hauge was very ill. He was carried in on a stretcher and managed to say a few words, but died soon afterwards. The wives whose husbands had died had been notified before the broadcast. I can remember we all met at a friend’s house (where the radio worked) – and the tears ran freely as our loved ones said they were all right and would soon be home. Here they all are – Swiss and Norwegians together. My father is standing sixth from the left in the fourth row. By now they were in good condition physically, but it took a long time to fully recover, and some never did. 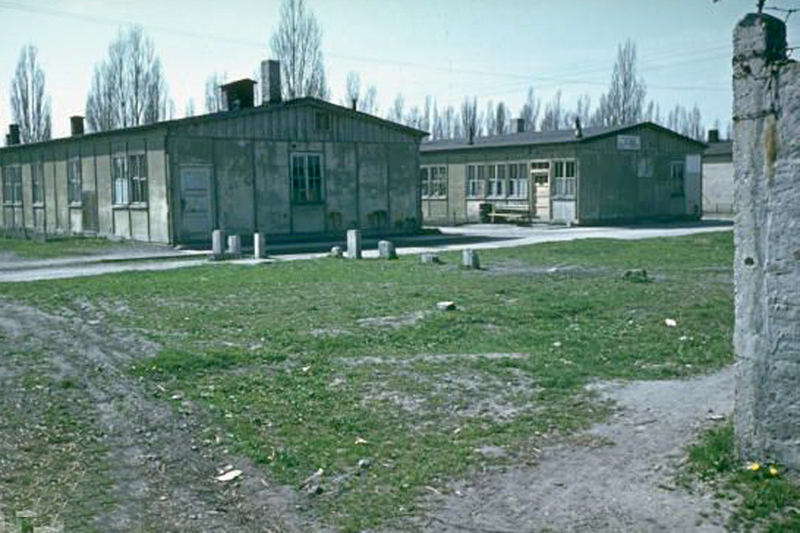 Dachau – Hell on Earth – April 1945. My father and his friends were transported from Kaisheim to Dachau, near Munich, on April 9th 1945. There were long delays and detours between Donauworth and Munich. They sat for hours on a crowded train which was meant to bring them straight into the camp, but the line was blocked. The weary men were told to get out and walk. It soon became obvious why they had to walk. A long line of goods wagons were stationary and in front of some they saw piles of dead bodies. More were being thrown from the train as they passed by. As soon as they entered the camp the allied planes flew over, in the direction of Munich. Before long they saw smoke from the burning buildings in the city. The exhausted men stood for hours, and more and more prisoners arrived. Many were barely able to stand upright. Some had come from Austria and had walked for several weeks almost without food and water. Many died during the afternoon. Late evening they were finally escorted to their barrack. The room measured 10×9 metres and was three metre s high. A total of 400 men were stuffed into this room. 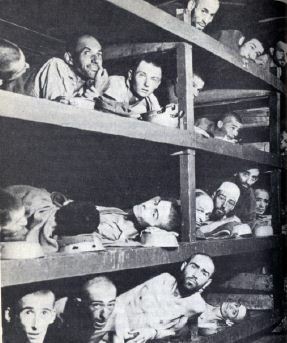 The bunks were in three tiers and measured 80 cm each, four men had to share each bed. My poor father, who happened to be placed on the outside of the top bunk, fell to the floor many times. It did some permanent damage to his back later in life! The food was terrible. Breakfast consisted of 1/2 litre of black coffee, lunch was a thin cabbage soup. The evening meal consisted of more black coffee and a tiny piece of mouldy bread. The men became zombie-like. The desire to survive was still strong, in spite of all the lice and terrible conditions. In their heart they knew the war had to be nearing the end. Every day more and more prisoners arrived and the camp was full to overflow. Piles of dead bodies were left outside most barracks every mornings . Emaciated, but still alive, prisoners had to dig mass graves and bury the dead of the night. On April 29th the white flag was raised from the administration building. At 6 pm the American forces came through the gates. But some of the SS-men began retaliating. They were soon overpowered, and when asked by the cheering prisoners “What shall we do with them?”, the answer was unanimous – “Shoot the Bastards”, and that’ s what they did – then and there. Firing squad – SS-men being shot. Some of the guards put on prison uniforms or tried to flee, but to no avail. They were caught and dealt with. The Americans were horrified at what they saw. It has been written about by many of the soldiers present at the time in later life. They found mass graves outside the camp because the aim was to exterminate all the prisoners at Dachau. 400 a day were shot and buried. More about this later, because I have some additional information. 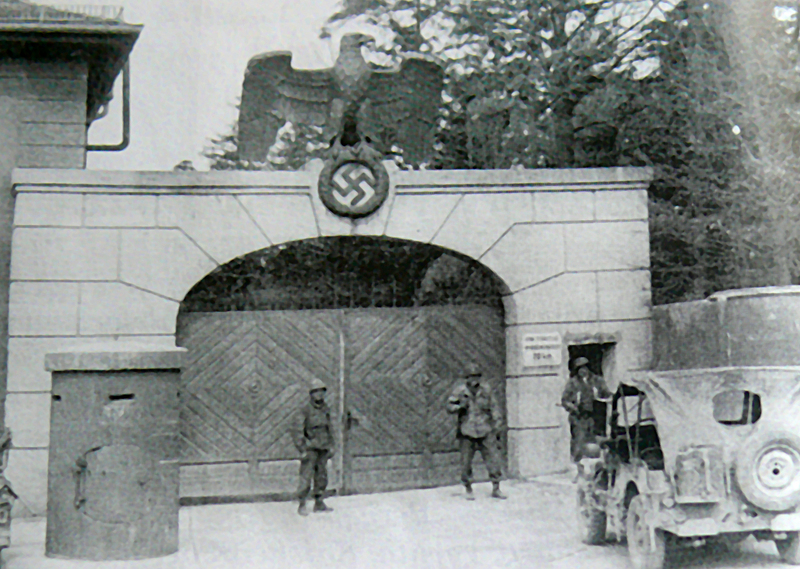 On May 17th my father and his friends were still in Dachau, but the conditions were greatly improved. They had been moved to the former SS-officers quarters and received decent food. Some of the men went to work in the sewing room and made Norwegian flags and a banner. May 17th is Norway’s Constitution-day, and a very important time for all its citizens. 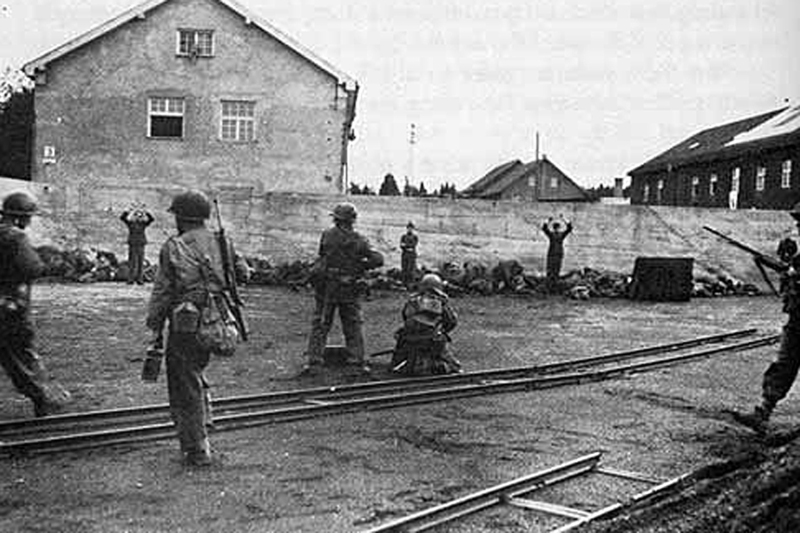 The men were gradually getting stronger and feeling better, but not well enough to go straight from Dachau to Norway. I celebrated my 9th birthday on April 15th 1945. My kind and generous mother let me have a party even though it was hard to find enough ingredients to make a cake. But celebrate we did, and had a great time. 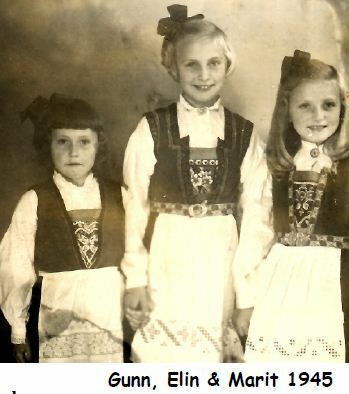 The week before peace was declared my mother and Marit’s mother sat for hours sewing and chatting while they tried to get our national costumes ready for the ‘freedom parade’ they knew would soon take place. 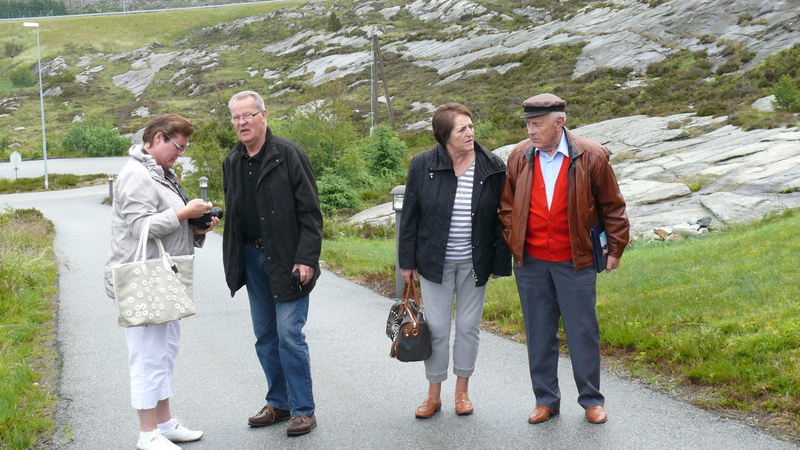 Here is a photo of us taken by a ‘proper’ photographer on May 8th when we went to Bergen with our mothers to watch the parade. People were jubilant, dressed in their national costumes (always popular on special days in Norway) and the red , white and blue flags were blowing in the breeze. Never has a nation been so patriotic and proud. My grandparents were getting older, but not in bad health. I recall many family parties and much joy during the next few weeks, but the fear and worry about dad and what had happened to him and his friends never left us. Torbjoern's story continues - with my trip to Norway to meet him in June 2011. Lorna Sass – good photography and writing.